We got a response on our new user survey that gets sent out with all new members of our swimming ideas mailing list. Want 3 free downloads? 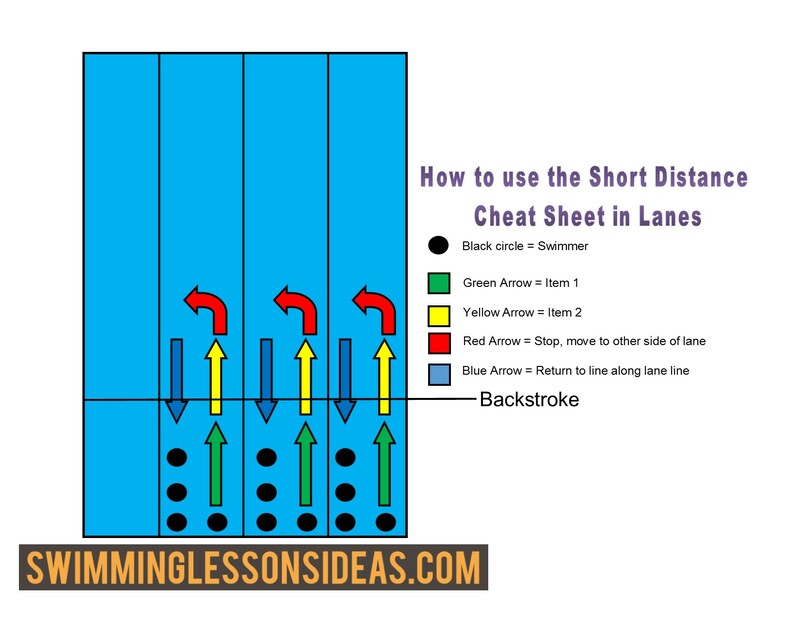 Go to Swimminglessonsideas.com and download the 3 free lesson plans. This user wanted to talk about how Platforms can be scary for new swimmers and may not always be the best choice for lessons. We go in depth into why they are excellent tools, and how you can make your platforms safe and effective in your lesson. Build your own, or Buy Pre-Made? Can use two and have participants go back and forth between with a safe shallower area, with deeper in between. About $200 each: made 4. Clear plastic flooring; heavy and sturdy, yet clear: used 6 long by 4 feet wide. Got 3/4 inch thick plastic for sturdy weight and cheaper cost. The thicker the plastic piece you get, the more expensive. PVC pipe and apoxy to glue it together. Added runners on bottom so dragging and pulling on deck doesn't destroy the pipe and make sharp edges. Quite heavy with all plastic and piping. About 20 lbs each platform. 3 sides instead of middle guard rails. SIP 006 is all about singing songs! Here are some great songs you can use in your swimming program to help teach going underwater, getting your face wet, and doing front and back floats. We review what you can do during each song to turn it into a teaching moment. Learn what you can do during "Twinkle Twinkle Little Star" to calm a crying child. We'll also review how you can use the "A,B,C Song" in swimming lessons. http://noelleshearer.com/ for singing the songs and providing them online. Play this game while having your child sit on the side of the pool. When you either finish, or when you say "had a great fall" hold the child's hands and pull them into the water into your arms. You can play this game at the beginning of your swimming lesson too. Have everyone sit on the side and then sing the song for each participant. Pull them in or let them jump into your arms when you finish the song each time. Wait a minute... I'M A SUGARBOWL! During the lyrics of the song, you should pantomime the different characteristics of the "teapot"
For "spout" and "handle" put your arms to your side: spout to your hip, and other arm out to the side. When you play the Sugarbowl version, put both hands at your hips. You can further amplify this song by pouring water on the swimmers in your group at the end of the song. When you get to, "pour me out" pour a bucket of water over your participant's heads. You can also give them each their own buckets or pails and sing the song as a group. When you get to the end, everyone pours their own water out! Learn how and why we play these 4 games. Get the inside super powered up versions to maximize teaching effectiveness and create a fun and engaging class. Your swimming program will benefit from using these games, find out how! Buckethead: The Best Game Ever! These games are used extensively in the Swimming Lessons Ideas lesson plans. You can get your own FREE Copy of the plans here: www.swimminglessonsideas.com by clicking on the large picture to the right. In episode 004, What should parents expect from swimming lesson, we review the 3 things that parents should demand from a swimming program. We'll look at what parents and swim directors should expect to see on day one. How long until my child learns to swim? What is the timeframe to get better at swimming? How many swimming lessons should we attend each week? Is one lesson a week enough? You will also hear in this episode discussion on how the instructor will establish TRUST in their swimmers, and why that is important to learning. You'll take from this episode a huge range of possibility for your swimming program. This technique works wonderfully for both swim lessons and for swim teams and their developmental programs. If you're working on new drills or turns, you can use this for teaching advanced swimmers! Episode 002 is all about streamline! This is perhaps the single most important skill you can master for your swim team. In this episode we give you the 3 things you should focus on to teach streamline faster and easier with better resutls. What you can do to constantly reinforce streamline during long sets. Streamline is the single most important part of swimming and helps to minimize drag and increases speed during all strokes. I go in depth on what Position 11 drill is, how we use it at practice and in swim lessons, and what the benefits are. Find out what the 3 things each swimmer should focus on while doing the drill, and what three easy steps you can take to make it easier. I go over some common modifications for the drill, and talk about how you can use it in your program.